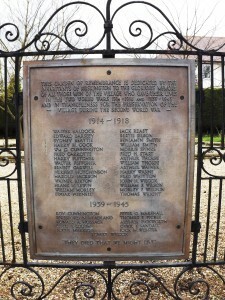 Welcome to this website which commemorates the men and women of the village of Ruskington, Lincolnshire, who made the Supreme Sacrifice during the two World Wars of the 20th Century. The site also seeks to recognise those who also served in those conflicts, but were able to return to their families when hostilities came to an end. Through this site you will be able to read not only of their war service but also a little about the families and homes from which they came. On Sunday, 21 March 1920 a Latin cross about 9 feet (2.75 m.) high of white Portland stone was erected at the entrance to the village Cemetery, just beyond the Lych gate. The Memorial was dedicated by Mr George Colborne Bartlett after being unveiled by Lord Winchilsea. After the Second World War, however, NOT in keeping with other locations, the 11 men who died in that conflict were not added to the Village Memorial. Instead a new chapel, known as the ‘Children’s Chapel’, was added to the Parish Church of All Saints, and a Memorial Plaque erected inside. Separate Memorial Plaques were later unveiled in two of the village’s Methodist Churches. Also after the Second World War a site near the centre of the village was cleared and redeveloped to form a ‘Garden of Remembrance’, which is where the village’s annual Service of Remembrance takes place at 11.00 a.m. on Remembrance Sunday – the nearest Sunday to Armistice Day, 11th November. 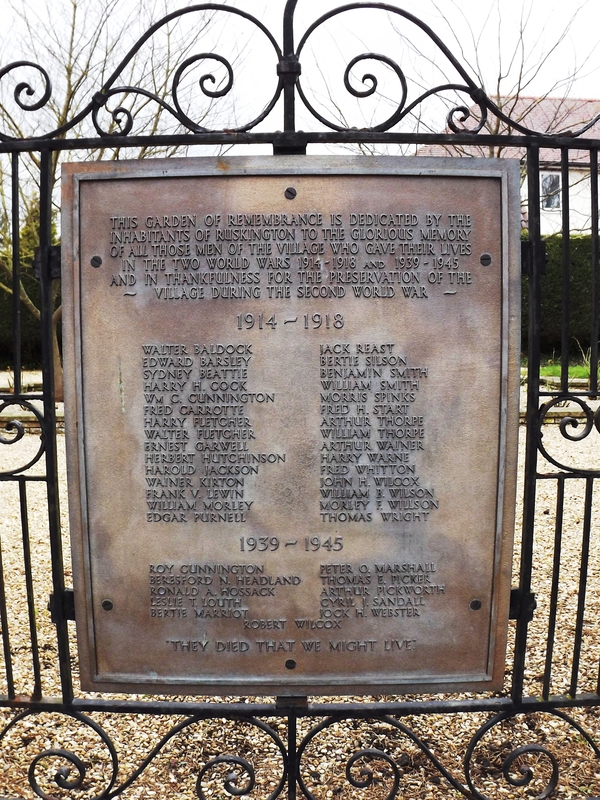 Names of all of village war dead are listed on plaques on the gates and inside the Garden [picture left shows the name plaque attached to the entrance gate]. In addition to War Memorial Cross in the Cemetery, Ruskington has four other Memorials and each has its own page in this site. This site commemorates the sacrifice of 30 local men who made this Supreme Sacrifice, and acknowledges the part played by the many others who “did their bit“. 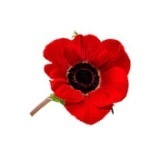 Details of the service of these men can be found under: “They also Served” on the Menu Bar above. Personal and Service details of those men who gave their lives can be accessed via the “World War 1 Casualties” link (under ‘World War 1’ in the above menu). Similarly, under the same heading is a link to “They Also Served“. Eleven local men gave their lives in World War 2. Less information is available for these men, as Service Records are accessible only to surviving family members. No Census details have been made available after 1911, although some additional information has recently become available from The 1939 Register, which provides a snapshot of the civilian population of England and Wales just after the outbreak of the Second World War. Limited details of their service can be accessed via the ‘ World War 2 ‘ link on the Menu above. Lincolnshire Chronicle, 27th March 1920.